An assortment of delicious gourmet chocolate treats. Each fancy peanut is dipped in scrumptious Chocolate. What more can one say!! To ensure freshness, these delectable delights are only available when weather permits (seasonal item). We recommend all chocolate products be kept cool and refrigerated in warmer climates. Our old-fashioned Peanut Brittle covered with a delicious Milk Chocolate coating. A great treat for anyone who deserves something special. 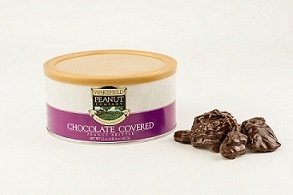 Our chocolate covered items are only available when weather permits (seasonal item). We recommend all chocolate products be kept cool or refrigerated in warmer climates. A tasty combination of Chocolate and Almonds is an unforgettable tasty treat. To ensure freshness, these delectable delights are only available when weather permits (seasonal item). 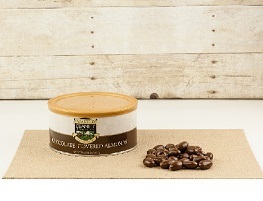 We recommend all chocolate products be kept cool or refrigerated in warmer climates. A scrumptious mixture of peanuts, pretzels, with crispy corn and rice bits all covered in a White Chocolate coating. A special treat for the young and old at heart. To ensure freshness, these delectable delights are only available for shipping when weather permits as they are a seasonal item. We recommend these sweet products be kept cool or refrigerated in warmer climates. 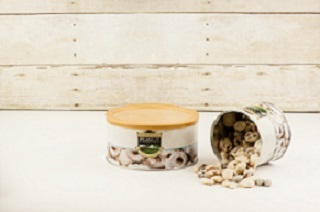 Spoil and indulge yourself with these jumbo Cashews coated in Milk Chocolate. A special gift for someone special. To ensure freshness, these delectable delights are only available for shipping when weather permits as they are a seasonal item. 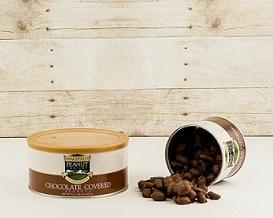 We recommend all chocolate products be kept cool or refrigerated in warmer climates.